THE legendary Madinda "Khathazile" Ndlovu is set to be officially unveiled as the substantive Highlanders' head coach at a press conference this morning. Ndlovu will take over the post vacated by Dutchman Erol Akbay, whose turbulent tenure ended in December 2017. Besides Ndlovu, the Bulawayo giants will also announce their entire dugout team, including assistants, juniors' coaches and managers. 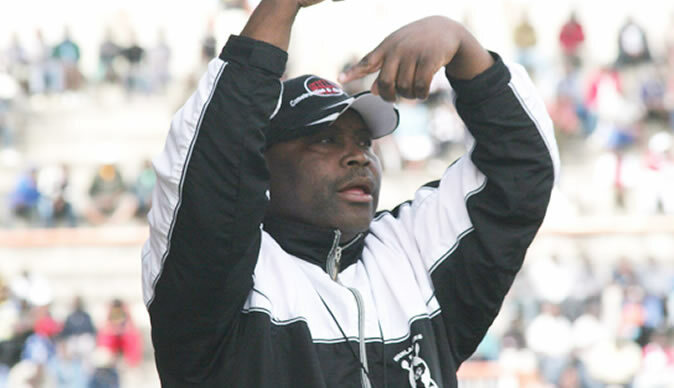 Former Bulawayo City head coach Mandla "Lulu" Mpofu is expected to be named as Ndlovu's assistant. "Our programme is still on tomorrow (today), nothing has changed. We will unveil our head coach, who will then name the rest of the technical team, including his assistant," said Highlanders' chief executive officer Nhlanhla Dube. First team manager Vezigama Dlodlo is set to keep his position while Tembo Chuma is believed to be the new goalkeepers' coach on the recommendations of Ndlovu, a three-time championship winning coach in Botswana. Chuma replaces another club legend Peter "Captain Oxo" Nkomo, whom sources said is likely to be reassigned to the juniors in the same capacity. Highlanders are also set to confirm Sizabantu Khoza as the Under-14 coach while Gift Lunga Jr continues with his Under-16 and Under-18 boys and Melusi "Mabaleka" Sibanda remains in charge of the developmental side Bosso 90. Long-serving manager Smart Moyo will continue in the same capacity for the Under-14, Under-16 and Under-18, while Ndlovu's elder brother Marko Dube is the developmental side manager. Born on May 2, 1965, and having played for no club locally other than Highlanders, Ndlovu won three back-to-back league titles in Botswana with Mochudi Centre Chiefs (2011-12 and 2012-13) and Township Rollers (2012-13) where he also reached the Mascom Top 8 final. He then left Rollers and joined Orapa United, leading them to the 2016 Mascom Top 8 triumph, but in the Zimbabwean league, the league title has continued to elude Ndlovu, although he is credited with laying strong foundations for a good side in all his previous stints with Bosso. Sources said Ndlovu has been given a three-year contract.